The Palestinian neighborhood of Silwan in Jerusalem is located next to the Old City walls. Photo EAPPI. 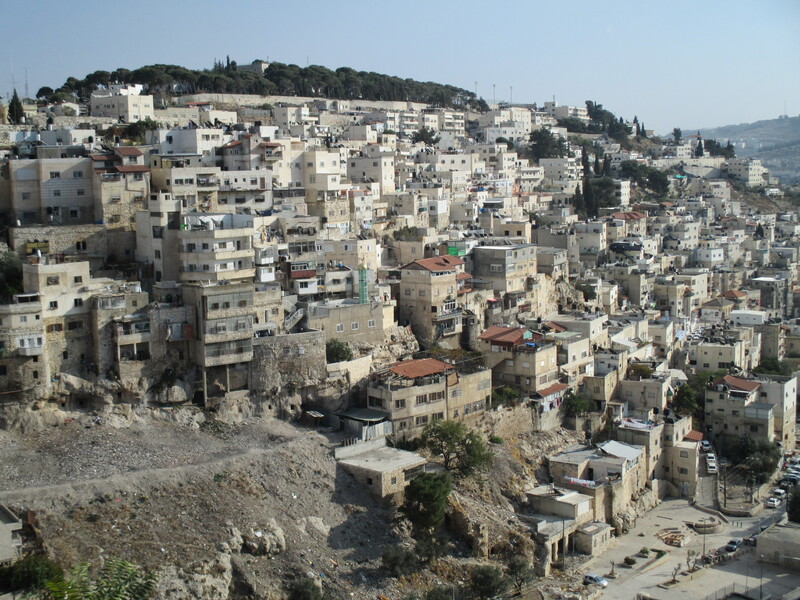 Silwan, is a neighborhood of East Jerusalem, just south-east of the Old City of Jerusalem. Over the years, this neighborhood faces many difficulties. The Jerusalem municipality plans to build green areas on much of the land, means that approximately 65% of the Palestinian homes in the neighborhood are under threat of demolition. Moreover, in several incidents, Israeli settlers took over Palestinian homes, even those where people are currently residing. Heavy security presence for settlers, the archaeological project of the City of David, ongoing clashes, and arrests of Palestinian children by the Israeli authorities, have created an atmosphere of tension, under which children suffer deeply. 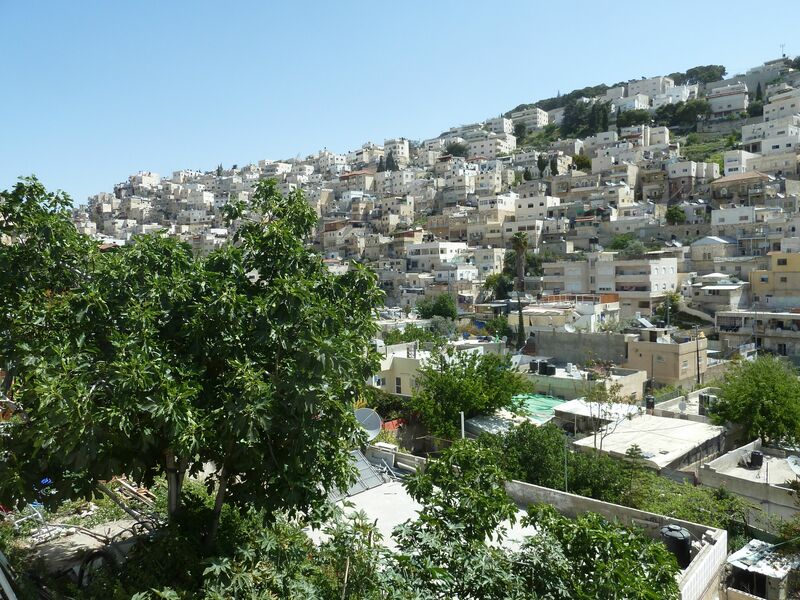 The Wadi Hilwah Centre is located next to the City of David Centre. We met Ahmad Qaraeen, an active volunteer with the Wadi Hilwah Centre, who along with 14 other members of the community rented a house and developed a creative community center for children and adults. The Wadi Hilwah Centre aims to find ways to pull children from the street and give them positive experiences. Former EAs with students in Wadi Hilweh. Photo EAPPI/C. August, August 2013. They began with music workshops, sponsored by organizations such as GIZ, War Child Holland, and YMCA. After the Israeli authorities demolished part of the building, however, many of the girls were afraid to participate. Women of the community also feared leaving their homes. To target these groups, the Centre now offers Hebrew language classes, sewing and cooking groups, yoga and sports. The centre is now a place where friendships develop and women are able to sell their creative works to support the center’s programs. Over the past nine years, the Wad Hilwah centre organized a children’s summer camp, which gives children a way to forget their problems for a while and just be children, which is still difficult for children who have experienced so much trauma. 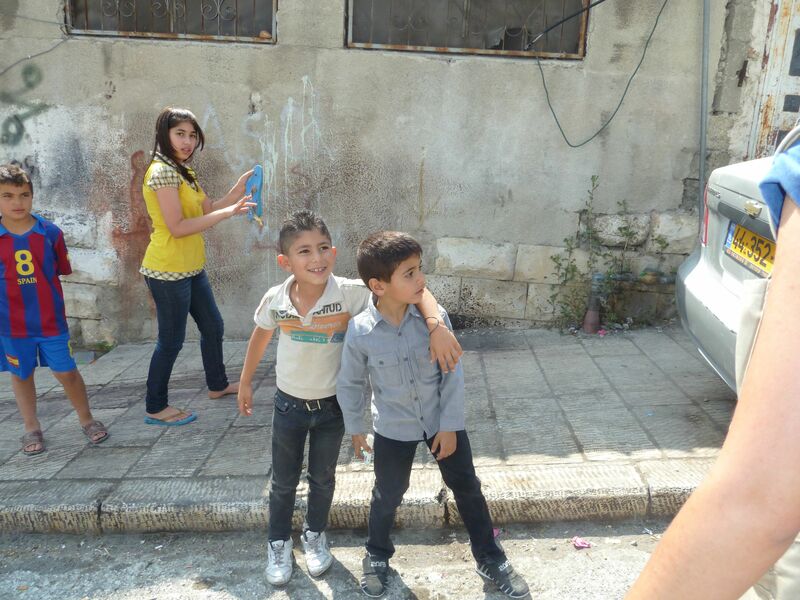 Ahmad says that the future of many of the children of Silwan is damaged. They find contradictions between what they learn in school about treating everyone with love and respect, and what they see outside of school. They have trouble concentrating on school work, they have anger and depression, and their relationship with parents is sometimes strained. Some are unable to go to study abroad or find government jobs because they were involved in even minor incidents and have a record. The film “Childhood Remnants” by Sumer Hussum in cooperation with the Wadi Hilwah Centre shows the impact of the struggles on the children of the community.